11 anglers landed 7 salmon today with big fish going 25# dressed! Big fish with an 18# average. 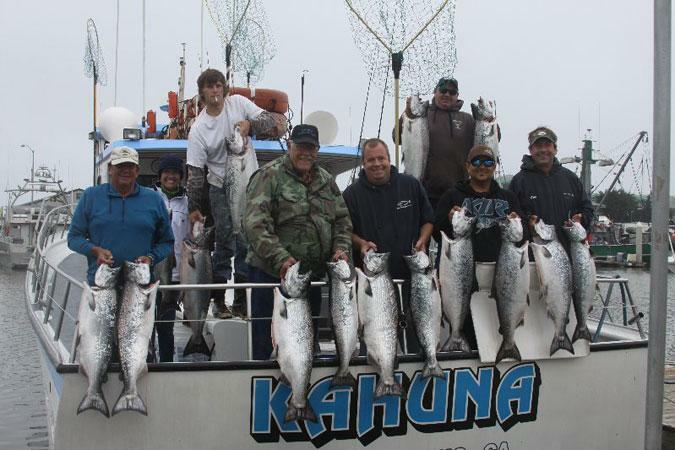 We will be running tomorrow for salmon with lots of room on the boat. Give me a call or just show up in the morning at 5AM and be ready for some lunkers.